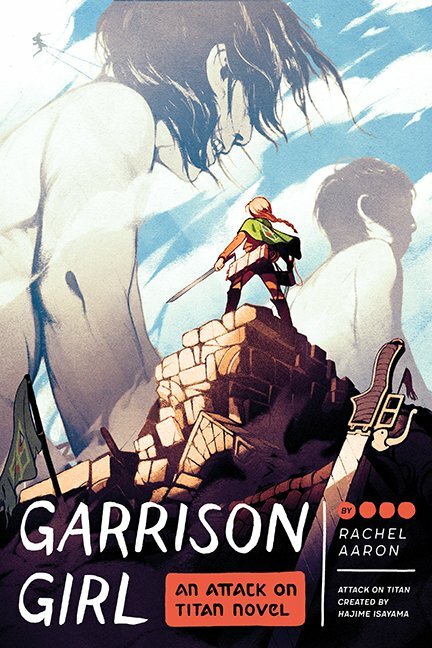 Publishers Quirk (and Kodansha) announced Rachel Aaron’s novel Garrison Girl at C2E2 (Chicago Comic & Entertainment Expo) yesterday. ‘When the last vestige of the human race is threatened by unstoppable carnivorous giants, a brave young woman decides to defy her wealthy family and join the military garrison to battle humanity’s enemies. But Rosalie Dumarque soon finds that her dream of escaping the protection of Wall Rose not only leads to bloody sword fights with monsters, but exposes her to other dangers. Can she earn the trust of her fellow soldiers, stand up to a corrupt authority, navigate a forbidden romance…and cut her way out of a titan’s throat? Whilst some jokes will surely get a few laughs out of the diehards, Attack on Titan Junior High is a hard sell to anyone but the most devout of fans.